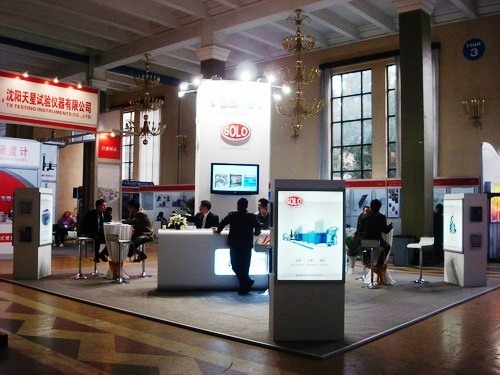 SOLO Swiss Group has participated in the 15th International Exhibition on Heat Treatment Beijing – from 19th to 21th October 2011 in China. The SOLO Swiss Group was present, along with its partner Guangdong Strong Metal Technology, in pavilion 3, and would like to thank all the visitors who came to booth #3B02. The 2011 Beijing International Exhibition on Heat Treatment has a very important significance. The purpose is to master the focus of international heat treatment development, present the most advanced technical process locally and abroad, set up the exchange platform for the colleagues of heat treatment industry and facilitate the good cooperation between enterprises. Meanwhile, the exhibition make its contribution in solving problems and better development of the heat treatment industry to meet the requirement of manufaturing industry and economy. For more information on SOLO Swiss Group and its products, visit its website at http://www.soloswiss.com.